Troppo have teamed with Horsham, Victoria portables fabricator and furniture-maker, Oscar in making a series of flat-pack and portable 'pods'. The pods can stand alone as drop in accommodation units/ bathrooms/ urban pop-ups, or units can come together to make more complex and bespoke arrangements. As you might expect they're built from 'real' materials with an eye to best environmentsl performance. Troppo offer a 'fit to site and need' consultancy within pod purchase arrangements. 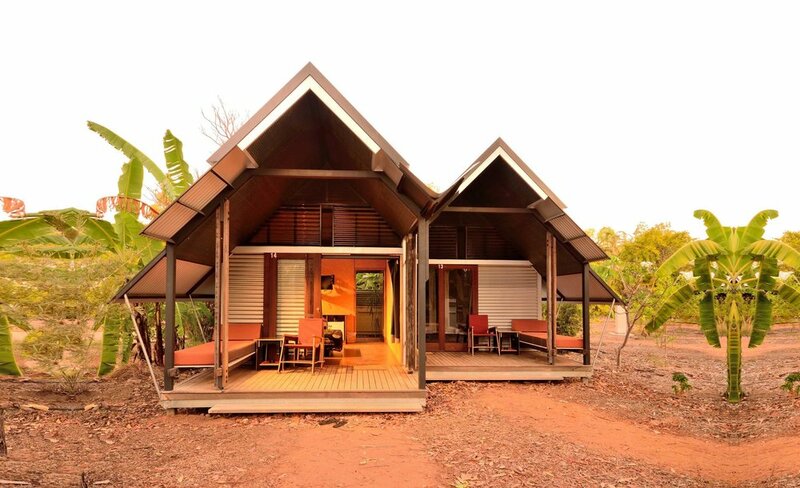 The venture builds on the success of the much-awarded and documented Anbinik tourism development in Kakadu National Park.